Dawn Neufeld is a multi-faceted woman with a heart for her family and children. A native Californian, Dawn was bitten by the acting bug at a young age. Her early training with the Al Fann Theatrical Ensemble and Kevin McDermott’s Center Stage L.A. helped her land roles in several television shows and plays. Although Dawn took a break from the industry during junior high and high school to focus on academics and sports, her love for acting never went away. During college, Dawn balanced her academic pursuits with modeling and acting. She developed an interest in media and journalism and earned her Bachelor of Arts degree in Communication Studies with a Women’s Studies minor from UCLA. She went on to earn a law degree from the UC Davis School of Law and is licensed to practice in both California (2002) and Texas (2009). Dawn practiced law at the Los Angeles firm Ivie, McNeill & Wyatt for a year before moving to Buffalo, New York where her husband Ryan played for the NFL’s Buffalo Bills. While in Buffalo, Dawn reconnected with her love for all things acting when she joined the Frank Rossi Studio and began taking acting lessons. When the Neufelds moved home to Frisco, Texas in 2008, Dawn dove head first into the local television waters while re-establishing her legal career. 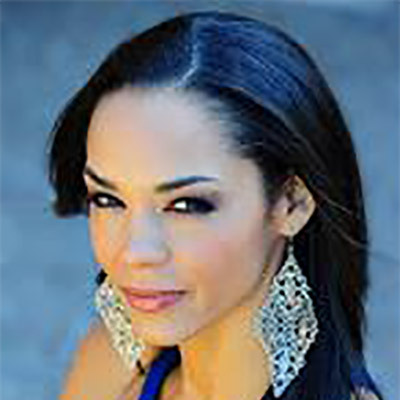 A cast member on VH1’s Football Wives (2010), Dawn was featured on the cover of the Ft. Worth Star-Telegram’s Dfw.com 2012 “Hot Issue.” She was the host of D210 TV, a show featuring the latest in Dallas entertainment and sports, and also co-hosted The Bite, a weekly cutting-edge entertainment show broadcast in high-volume restaurant chains nation-wide. Dawn was also featured in a series of mommy Smart Tips on the Food Network. She has appeared on CNN Headline News addressing various hot news topics. When not in front of the camera, Dawn is a corporate attorney with Graham, Bright & Smith in Dallas specializing in business litigation. She also frequently emcees charity and community events. Dawn is the reigning Mrs. Frisco and recently competed in the Mrs. Texas America pageant for the fifth time. She placed in the top five and won the awards for Best Interview and Career Achievement. She enjoys competing in the pageant because it gives her a platform to promote autism awareness. Her son Will was diagnosed with the spectrum disorder when he was three years old. During her spare time, Dawn enjoys spending time with her husband and two children, Will and Bryn, and participating in her favorite charities – Autism Speaks, Garth Brooks Teammates for Kids Foundation and the Layla Grace Foundation. Dawn is also a member of the Junior League of Dallas and is an active participant and former board member of Off the Field, the national football wives association. Wrapping up her philanthropic duties, Dawn held the position of publicity chair for the Silver Dollar Ball benefitting the American Cancer Society and frequently supports other various charities.